This is a post that I've been meaning to write for years. 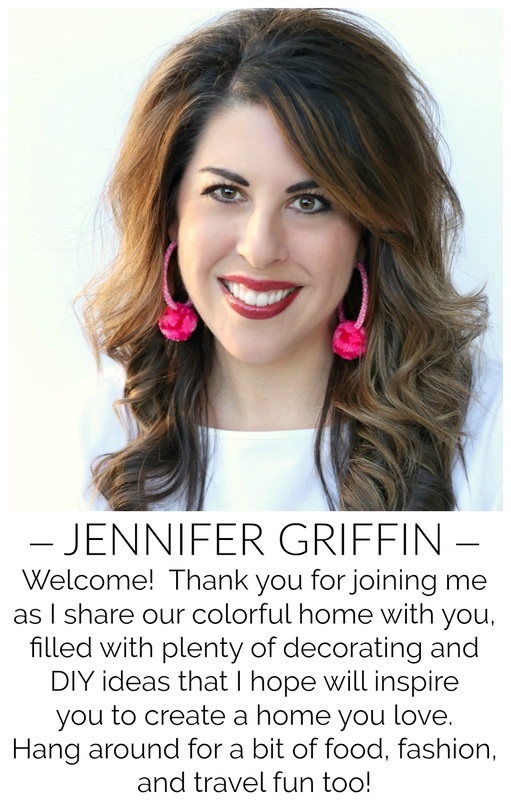 As I sat down this week to make another invitation for a shower I'm helping host in a few weeks, I finally recorded the step by step process to share with you. I secretly think my friends just ask me to help hostess showers so I'll make the invitations... ;) which I'm happy to do! I use a web based editing program called PicMonkey to create my invitations. I also use PicMonkey to edit all of my photos for the blog, but there are so many other ways to use it, and it's a very user friendly program. The basic version is free to use, although you can upgrade to the "Royale" program for a reasonable fee for more options and features. I've never done that and have been able to get by just fine without it. If you're not familiar with it, it would be helpful to spend a little time just playing around and familiarizing yourself with what all of the tools and icons do. 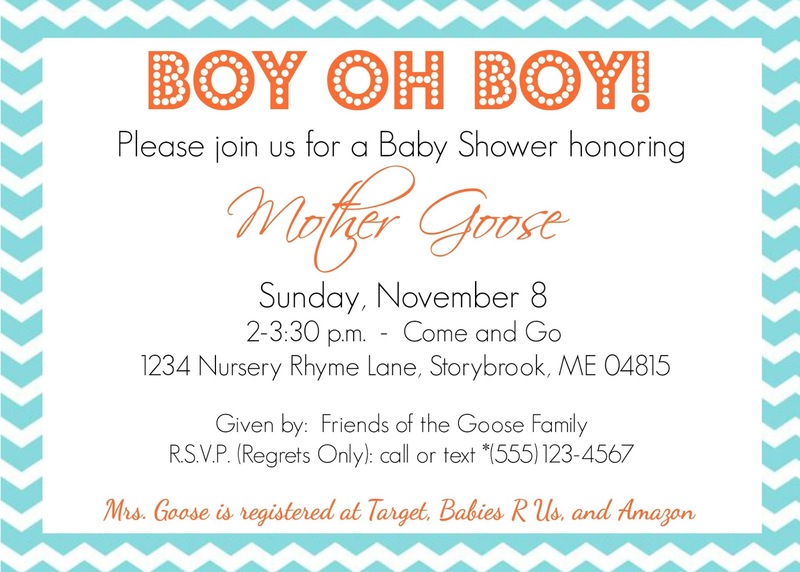 Often I will search the internet for "baby boy invitation" or "wedding shower invitation" to get some general design ideas and the wording, then adapt my own design from there according to what's available on PicMonkey and the details I need to include. 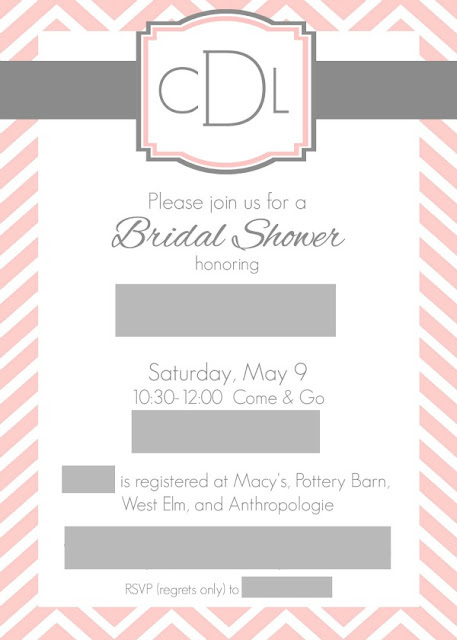 After you have some ideas for the design of your invitation, search Pinterest for a free printable background design. 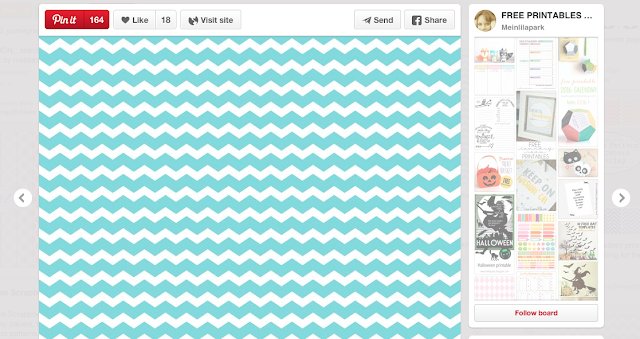 I searched for "free printable chevron paper" and had lots of options to choose from. Some pages you find might have to be downloaded, others may be saved straight from a photo on the post. Look until you find one you're comfortable with. I used this design, and just saved the photo to a file on my desktop. 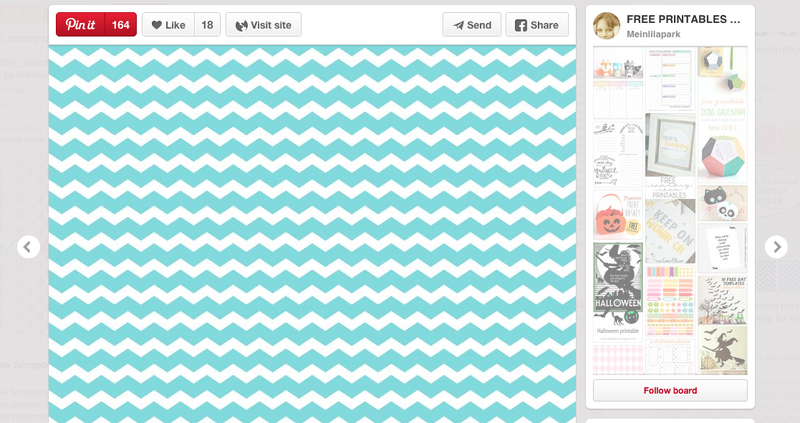 Open PicMonkey and hover over the "Design" option on the menu banner at the top. Several size options will open up below it, choose a pre-set size or select "custom" if you want to put in your own measurements. I usually do 5x7 cards, which are easy to print out 2 per sheet on cardstock, and fit nicely in the 5.25 x 7.25 envelopes that I get at Hobby Lobby. When you've selected 5x7, this screen will open. If you want your invitation to read vertically, you're all set. If you want your invitation to read horizontally, click on "rotate" on the left hand menu bar, then click the circle arrow to turn the rectangle sideways. When it's horizontal, click "apply" back over on the left hand side. Now, if you're using a patterned background that you've already selected and saved, click on the butterfly (overlays) option on the left side. Then, look above it and select the "Your Own" box. A menu of your files will pop up. 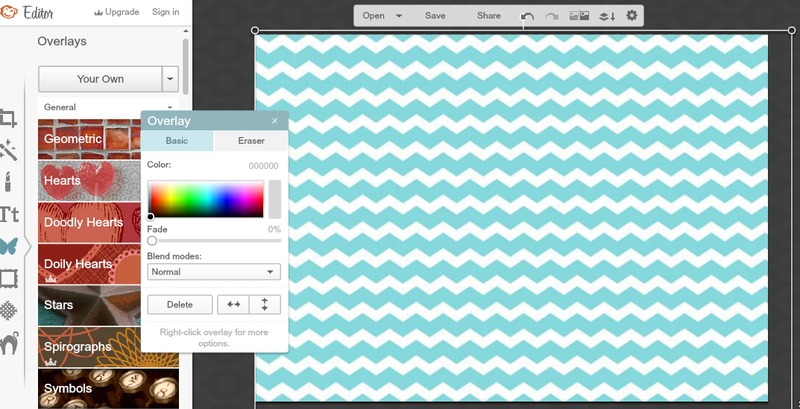 Find your file where you've saved the background and open it. It will appear on your invitation background. Use the circles on the corner of your image to make it larger. For this design, I want it covering the entire invitation, so I'll stretch it out until it does so. 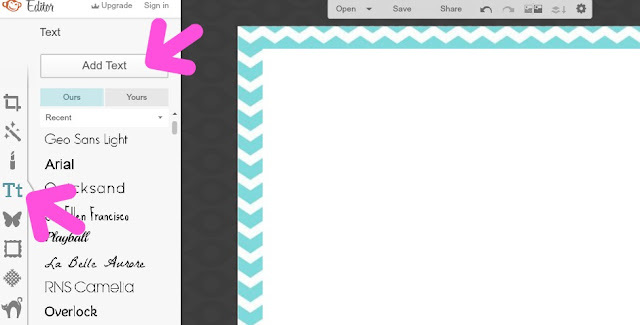 It's ok if it goes outside the boundaries, anything outside the original invitation rectangle won't show. So, here's my background all stretched out to cover the entire area. I made sure to move it around so that the design on the top, bottom, and sides matched up and was even. At this point, I don't want that to ever move or change, so I'm going to lock it in. Do that by clicking the icon at the top that looks like 2 pieces of paper on top of each other with a down arrow beside it. This combines everything you've done up to this point together as all one piece. Now, I want some white space for all of the details so it will be easy to read. At this point you can play around with the design that you want on top. I just want a white rectangle, so I'll go to the left and choose "Geometric", then the rectangle. A black rectangle will appear. 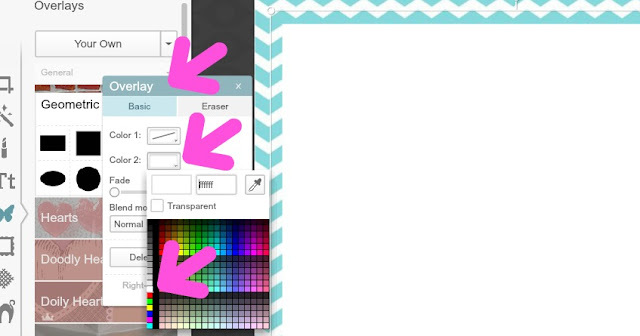 Once again, use your cursor to stretch the corners or just move the sides out to the size you want. 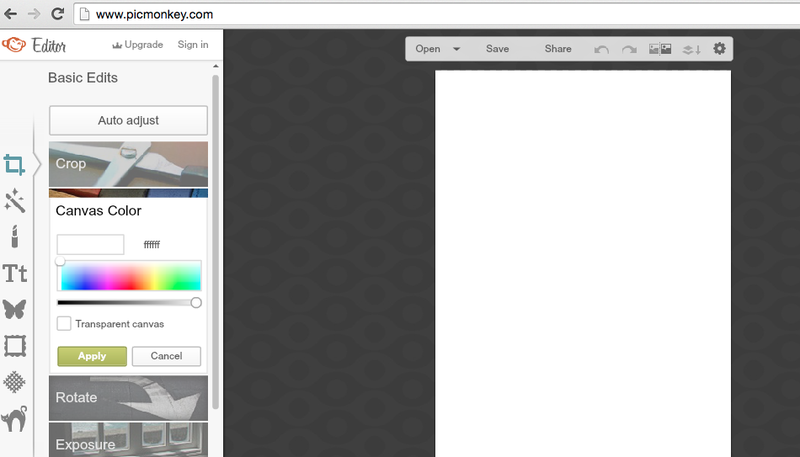 Then, look at the pop up box that says "overlay", choose the "color 2" box and a rainbow of colors will appear. Choose the color you want for your overlay rectangle, white in my case. Once it's the color you want and in the position you want, click the top "paper stack" icon again to lock it together. Before proceeding with the lettering details, you could get a bit more fancy here if you wanted. 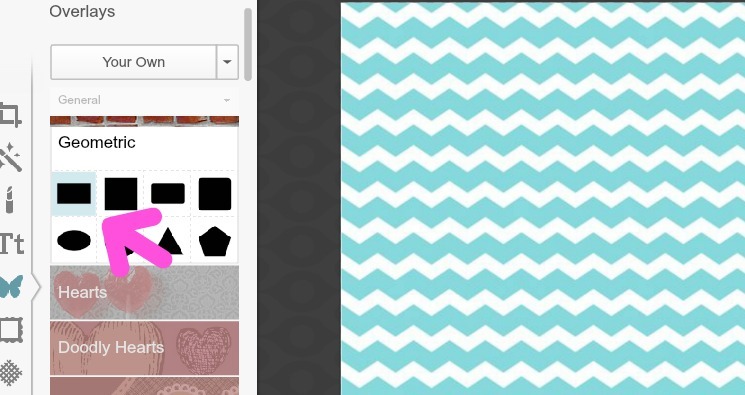 I've used the same "geometric" options in the past to make a monogram on the top, or add a border around the edge, or you could browse through some of the other decorative options in that "Overlays (butterfly)" section to see if there's anything you'd like to add. If you do add any other details here, be sure to lock them in when you're finished. OK, ready for the words! Select the "Text" icon (Tt) on the left hand side, and a list of fonts will appear to choose from. I usually add my text first, then highlight it and choose the font I want from the list then. But, you can start by selecting a font, then "Add Text" and go from there if you wish. 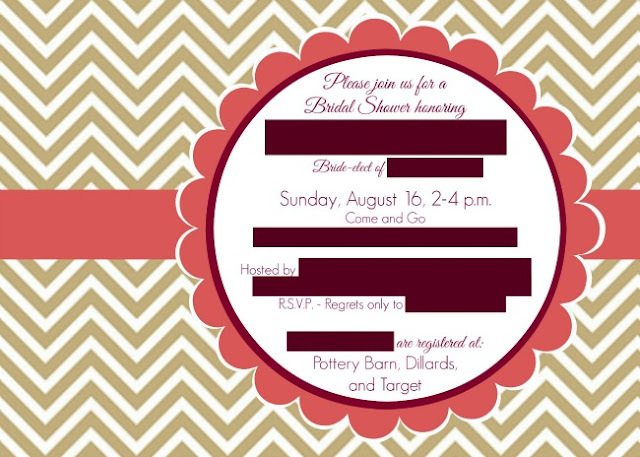 I also usually do my text in small chunks, not all one big text box for the entire invitation. I usually like to use at least 2 different fonts, so using smaller text chunks allows me to size them appropriately and line them up just how I want them. For your first text box, your screen will look like this. You can move the box where you want it, and drag it out larger or smaller if you wish. Use the text pop up box to change the size, color, and alignment of your text (when it's highlighted). Add new text boxes as needed, positioning them where necessary. Sometimes they will overlap and you'll have to move one out of the way to get to another one. If I'm absolutely SURE that I'm finished with a section of text, I'll lock it in so it won't get in the way, but generally I try to finish all of the text before doing that in case I need to make any changes. Just play around with it, you'll get more comfortable as you go. That's it! 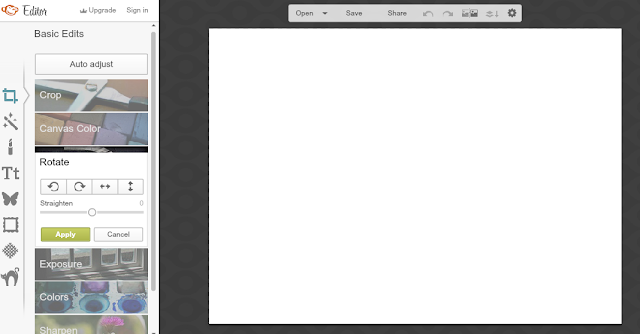 When you're finished, be sure to SAVE (top middle button on your screen) to your desktop or one of your files. The file will save as a jpeg. To print, send to your local copy center or save to a memory card and take it in. They should be able to print 2 per page for you if you have done a 5x7. Depending on the pricing at your copy center, each invitation should end up costing around $0.50 or less. Quite a deal compared to many custom invitations that can cost as much as several dollars each. Here are a few other invitations I've made, just to give you some options that can be created with PicMonkey (excuse the boxes covering personal information). With these two, I used a free background, then used a variety of shapes and labels to create the designs, layering them and slightly changing the size and color where needed. For example, to make that monogram box in the center, I started with a long gray rectangle. Then I made a gray label, layered a white label just a bit smaller on top, then a smaller pink label, then a final white label, then added the letters. Sounds a little complicated, but it's really simple with a little practice. 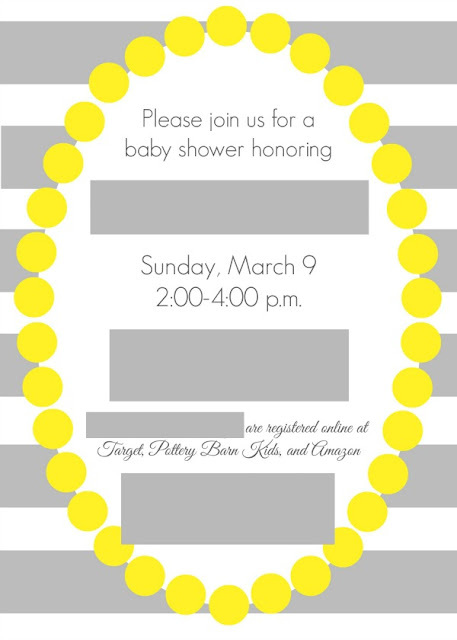 For this invitation, I made the background stripes using the rectangle tool (make one and then choose "duplicate overlay" after double clicking on it to copy it). Then, there wasn't a dot border that would work for what I wanted, so I made the yellow circles (again, duplicated the first one a bunch of times) and placed them around the edge of the white oval. When you're creating your own background like that, that's when you want to make sure you combine all of the elements of that background (lock in the design) before continuing with the words, <trust me>. It would probably be wise to go ahead a save a blank copy of the background to have on hand, also, before continuing on with the words. 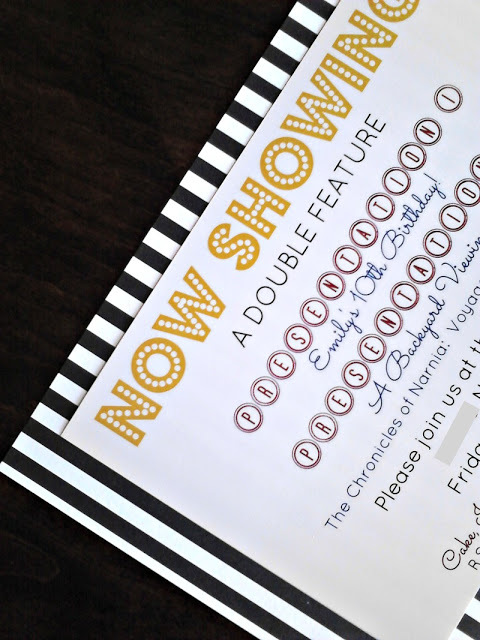 Lastly, this is a birthday party invite that I made just using different fonts on Picmonkey. I printed it out on white cardstock and mounted it on a piece of striped paper. Easy! What do you think? 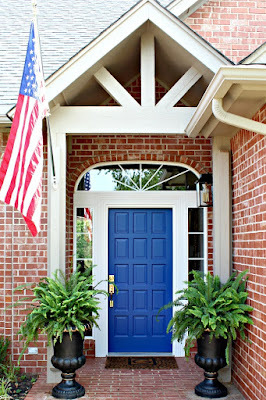 Are you a PicMonkey lover like me? Do you use it for other design projects or just photo editing?